The Wine Delight Daylily was transplanted early this season from a clay pot to the courtyard flowerbed. It is thriving beyond expectations! Last year it produced only one bloom from its greenhouse beginnings. 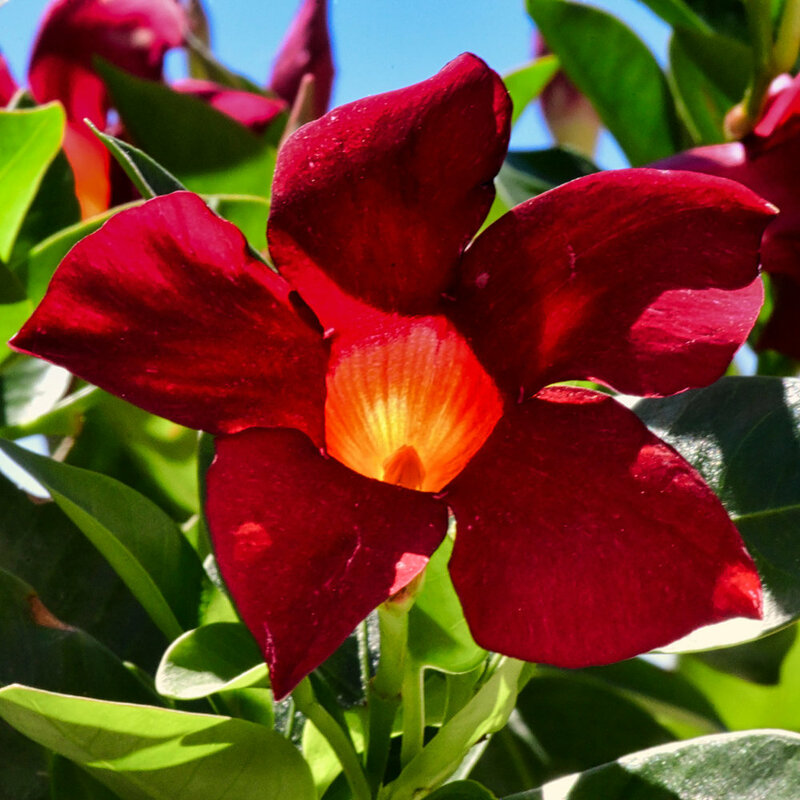 The Rio Dipladenia is a colorful hanging basket bouquet of blooms. The photos are shot with a Tokina 100mm f/2.8 AT-X M100 AF Pro D Macro on a Nikon D500. 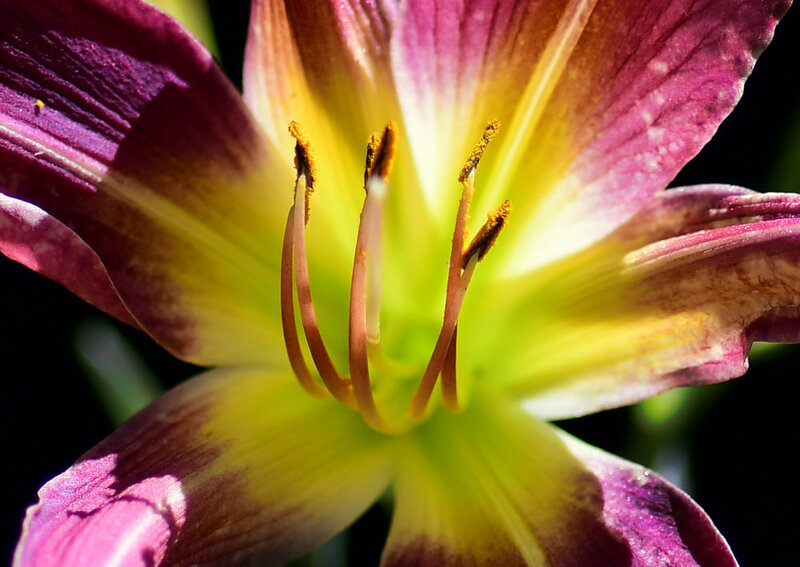 This is the first true macro lens I've used for close-ups.